MODULAR HOME BUILDER: What If You Ran Your Factory Like a Chick-fil-A? What If You Ran Your Factory Like a Chick-fil-A? I love stopping at Chick-fil-A, not only for the food but also to see how organized and disciplined every store functions. The food isn’t bad either. It occurred to me that there must be a secret to their success that modular home factory management could use to ramp up their sales staff’s performance and bring more builders into the modular home business. I decided to take a look at what they do differently from all other fast food restaurants that makes them so busy and successful and what I discovered was not really shocking but absolutely brilliant. Their training process consists of two or three interviews with a Team Leader or Manager and then training that consists of a video curriculum and short tests afterwards. It's not terribly difficult. Most modular factories I’ve worked for and have observed have little or no formal training program for new sales reps. But I was more interested in what happens after the initial training. My theory is that employee morale is maintained by having good leaders who hire the right people and by the sense of knowing they’re working somewhere special. Every fast food restaurant has a drive-thru but how many have a line of cars that wraps around the building no matter what time of day and has seven or eight registers in the lobby that are operated continuously, especially during peak times? Even in mall locations, every other place just has one register--period. 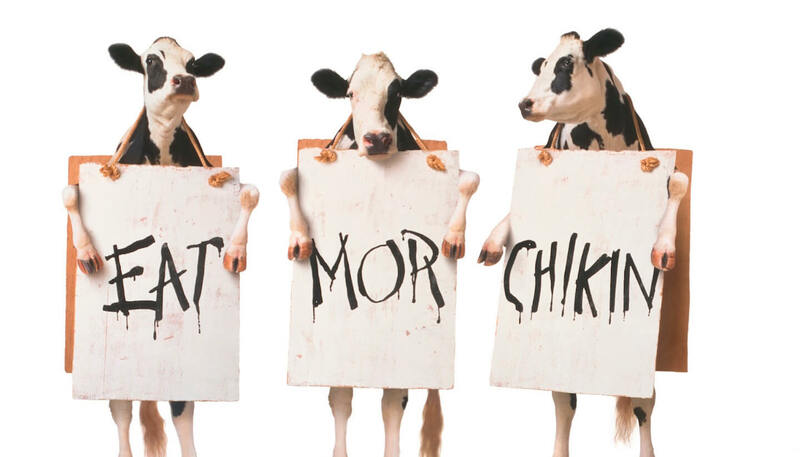 Chick-fil-A has at least five. That says something, and I think there is a sense of pride that comes from working there. Secondly, management is selected very carefully. If you have the values and the skills to become an operator for Chick-fil-A, then you know that not just anyone is right for your Team. The management must be highly motivated and mature individuals who care about the brand and not just about food service or a paycheck. These leaders, in turn, keep their workers motivated, who were also hired because of the sense of pride and ambition they demonstrated during the hiring process. Yes, there are some really good Sales Managers in our industry but as a rule most were given the position simply because they were a good sales rep and the job opened up. There is almost no formal training in our industry for Sales Managers. A large majority of the cashiers at Chick-fil-A are between 16 and 25. This is rather common at other quick service restaurants, too, but I think this is almost a strategy at Chick-fil-A -- not to accuse them of being discriminatory. I feel that, when hiring, management looks for people who don't have a lot of experience in food service, so that it's not just "another job" or "another restaurant" to them; rather, it's an opportunity to start a career in the industry and represent a valuable brand. Is this the model for the our industry or do we just hire and/or lure established sales reps from other factories simply because they might bring a couple of builders with them and knowing we don’t have to spend a dime on training a sales rep that must be good because he/she has worked in the industry for more than a year? Most Chick-fil-A stores get plenty of applications each week, so, if the employee’s service and attitude turns out to be not up to par, or they do something stupid, they typically have the luxury of mentoring you only for so long before they will replace you. Think about this: how many times have you seen a blatant advertisement for working at Chick-fil-A posted on the windows, doors, or walls of their buildings? Most of them generally don't have to seek out the workforce; the workforce comes to them. There are modular factory sales reps and even Sales Managers that have proven to be sub par and do stupid things but have remained in their job for years simply because nobody is beating down the door wanting to work for you. It all comes down to good training, great leadership examples, and untainted workers who exude positive attitudes and teachable spirits, all because they are proud of what Chick-fil-A represents: great food, great people, and strong ethics. Now go back and read this one more time and replace Chick-fil-A with your factory and ask yourself if your company is the Chick-fil-A of the modular housing industry or the Burger King. What an interesting thought. Comparing the huge success of a fast food store to an entire industry. The headline should read "You absolutely need to run your business like Chick fil A"
Coach, this article should be read aloud at every modular factory and posted on the wall of every managers office. If you have never eaten at a Chick fil A, find one today and watch their system work. Every employee says Please and Thank You and they all where a smile. And as Coach said the food isn't bad either.